This picture is the World Trade Center on 9/11 14 years ago. It reminds me to... Never Forget. The cost of innocent American lives continues to overwhelm me. 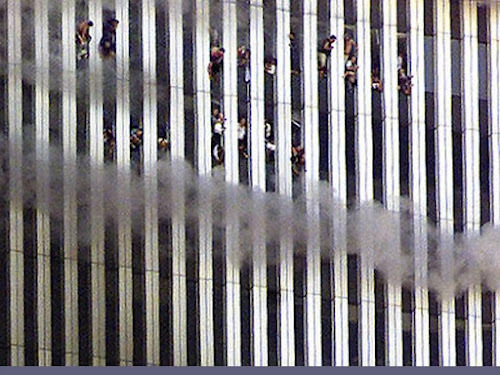 This horrifying picture shows the cost in human lives inflicted by those who hate us. I still hurt from that fateful day. 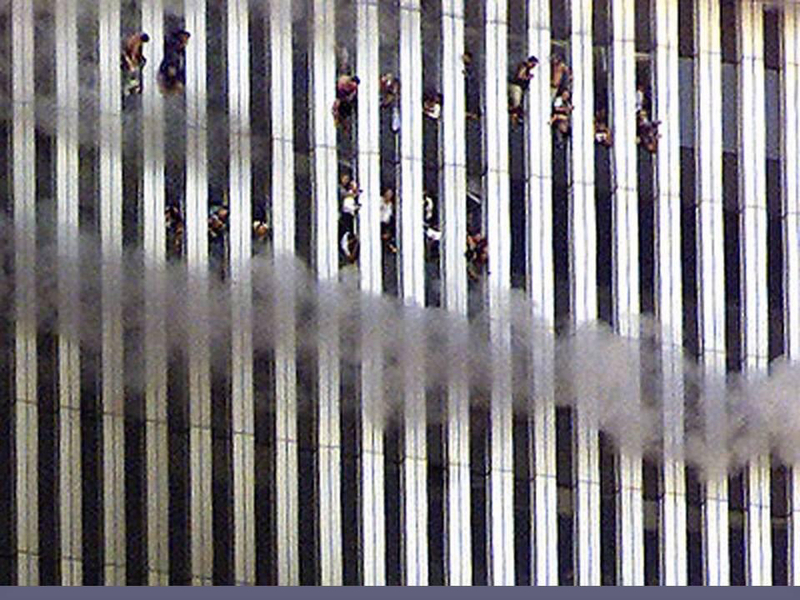 Please, America, the reason we must never forget is because we are still on the cross hairs, and those we love may be next. Freedom is worth defending. We must never bow to the tyranny of those who would enjoy nothing more than fundamentally transforming us, both foreign and domestic. Finally, thank you to those men and women, young and old, who gave up family, time, health, limbs, and many, their lives to protect our country. We must not let them down now. When once or twice, for man's avail, MEN LAVISHED PRECIOUS LIFE! Till selfish gain no longer stain, The banner of the free!"